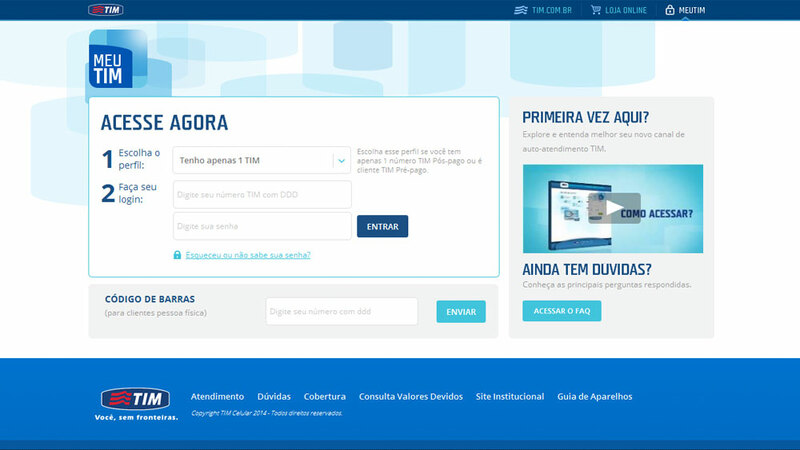 TIM has in its database more than 70 million clients in Brasil. All those clients together sum up to 20 different profiles, consumer and corporate. When I join the company the only digital platform to support these clients were the website, not responsive, not measurable and full of glitches and errors connecting front-end and legacy. Back in time, MyTIM use to have 1MM visitors per month, way less than its capacity when compared to 70MM accounts. The main channel to support customers was the call center, holding a huge monthly cost to the company due to its incoming calls. First thing once I get in charge of leading the project was create a matrix crossing profiles and services available for each one of them. Once organised, then we needed to figure a way to measure interaction, success and errors, which we sorted by setting up a log report. After settle all these issues it was possible to justify budget for this complex project by showing numbers, and mostly converting numbers in cash by saving from calls. After several MVT tests, surveys and internal insights we came up with numbering steps, friendly naming profiles, place FAQs, video tutorials and data free navigation when inside TIM domain. We have migrated and improved 44 services, creating a heavy self-service admin platform which use to save by month US$1MM from potential call that were converted in web self-assistance.